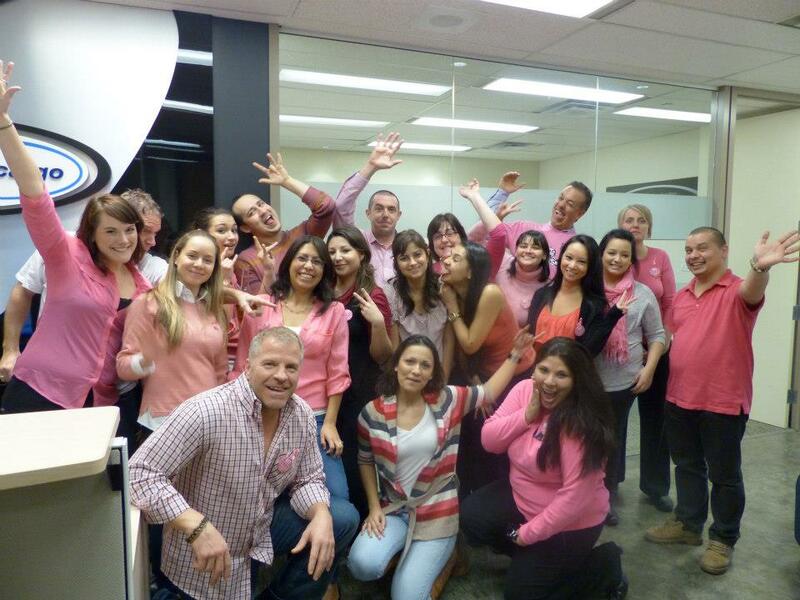 Get Pink’d is a national fundraising event by the Canadian Breast Cancer Foundation. Friends, colleagues, and school groups participate in this event by purchasing buttons and wearing them along with pink clothing to show support for the CBCF and their efforts to fight breast cancer. To go along with our event, we also held a penny drive (pennies are now out of circulation in Canada). Needless to say, our event was a great success; we collected 4,650 pennies and raised hundreds of dollars in button donations! Most importantly, it was great to all come together and work towards creating a future without breast cancer, a disease that impacts each and every one of us (from grandmothers, mothers, sisters, aunts, friends past and present who battle/battled the disease). We are proud to support such an important cause, and are excited to now be Champions for the Cause! The CBCF hosted an event last evening called Beyond the Lab, an evening of conversation with CBCF researchers. It gave UWT and other key supporters of the cause an opportunity to engage with some of BC’s brightest minds in breast health and breast cancer research. The event allowed us to meet researchers focusing on studies such as: the financial impact of breast cancer, imaging for detection, therapeutic strategies, links between cancer and the immune system, identifying new targets for treatment, understanding difficult to treat breast cancer in young women, and the link between oxygen levels and the progression of breast cancer. It was great to have one on one time with some key researchers and sit, listen, and talk to learn what inspires them to do what they do. A successful inaugural Beyond the Lab event for the CBCF, and great to see the progression from the fundraising we do to the work the funded researchers do!